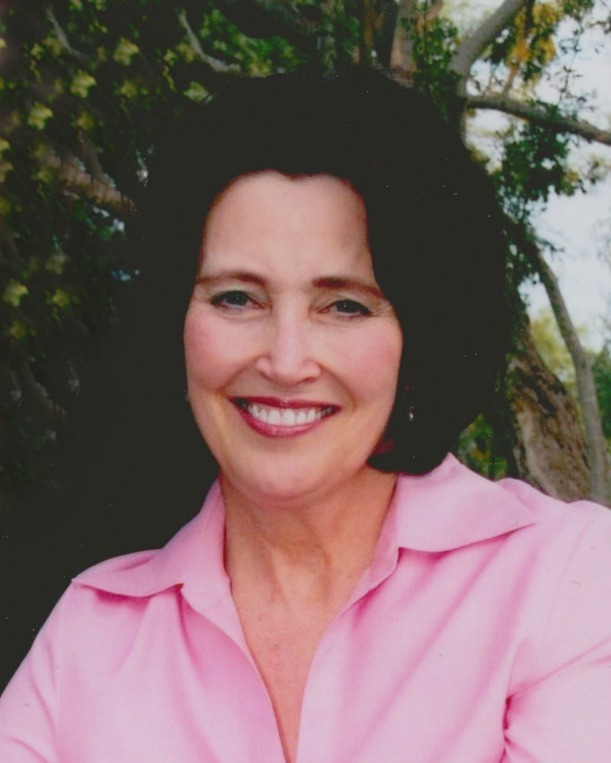 Jo Lynn White, 63, passed away August 15, 2016 in Gilbert, Arizona. A visitation will be held Wednesday, August 17, 2016 from 6-8 PM, at Bunker’s Garden Chapel, 33 N. Centennial Way, Mesa, Arizona. Funeral services are Thursday, August 18, 2016 at 10 AM, preceded by a visitation at 9 AM, at The Church of Jesus Christ of Latter-day Saints, Lindsay Third Ward, 21320 S. Greenfield, Gilbert, Arizona. We are so sorry for your loss. Jo Lynn was a remarkable lady and a friend to all! We will miss her dearly. Our thoughts and prayers are with your family and loved ones. We are so sorry for your loss. We have so many wonderful memories of JoLynn as a neighbor, ward member, and friend. She was a gracious and lovely person, inside and out and we will miss her. We are grateful for her influence in our lives. Our thoughts and prayers are with your family. My heart is broken! My greatest joy was seeing Jo Lynn every Tuesday morning at the Gilbert Temple. Jo Lynn is a forever friend that I will cherish forever! Sending my heart felt love and prayers to Danny and Family. Jo Lynn was always quick to have smile and was always such an great example of Christs love. Danny and family we are so sorry for your loss! We are so sorry for your loss. We will keep the family in our prayers. May god bless and confort you all in thes hard times. We were SO sad to hear of Jo Lynn’s passing… What a BEAUTIFUL lady, inside and out!! I LOVED working with her as her secretary in the Tempe University Singles’ Stake Relief Society. She taught me so much! I will miss her wonderful smile and amazing Spirit! She is truly one in a million! Our LOVE to you, Danny and all of your family…. What an amazing gift she was to all that had the pleasure of knowing her! Honored to have rubbed shoulders with her posterity! Words can’t express my feelings so I want Danny & his kids to know that I loved Jolynn. We had some great times and I will treasure the memories forever. Life happens and you grow apart but when I was lucky enough to see Danny & Jo it was like time didn’t matter. My heart aches for your loss. Sending my love, thoughts and prayers from my hospital bed. I wish I could attend but I’ll be there in spirit. We love you and your family. We are so sorry to hear the news. Our thoughts and prayers are with you and your great family. Jo Lynn and her great husband have been an inspiration to all of us at the Gilbert Arizona temple. We love them. To my loving best friend , I will miss you so much. Our thoughts & prayers to her loved ones. Sending prayers to the White family. So sorry to hear of the loss of this beautiful woman. We admired JoLynn with her example and service. She made a difference. We offer our love, sympathy and prayers to you and your family. Our hearts are saddened to hear of your loss. May the Lord bless you & send angels to attend & comfort you & your family. Our love & prayers are with you. Dearest precious White family, my heart is hurting for you. JoLynn is forever My friend. A dear friend to me who shared her time and love so willingly. I will always remember the special times we shared. She was such a light. Our prayers of comfort go out to Danny and the children at this difficult time. We are so sorry for your loss. We are so saddened by the loss of Jo Lynn. We love your family and express our deepest sympathy. She was such a wonderful woman. We pray for comfort for you and all that loved her. WE ARE SO SAD AT THE PASSING OF JO LYNN, SHE WAS SUCH A BEAUTIFUL, SWEET & GRACIOUS LADY. DANNY, YOU & YOUR FAMILY HAVE OUR HEARTFELT CONDOLENCES & LOVE. WE DID NOT SEE HER VERY OFTEN BUT KNEW FROM EXTENDED FAMILY MEMBERS WHAT A KIND & LOVING WIFE, MOTHER & GRAND-MOTHER SHE WAS. We are so sorry. She was sweet and remarkable lady, who will be remembered with many fond memories, as we will. With our deepest sympathy, love and prayers for you family. I remember seeing Jo Lynn when she first transferred to Westwood and thinking just how pretty she was! We didn’t have classes together, but she always greeted me when we passed in the halls. I’m certain that she will be greatly missed by her family and friends. My condolences, especially, to Danny and their children. Marsha and I send our condolences for you and your family.. Here’s wishing you and your family God”s blessing and Love. We are so saddened by the news of Jo Lynn’s passing. We have so many wonderful memories with the White family and will forever cherish Jo Lynn’s friendship. She was an amazing women and great friend. She will be truly missed. We love you. Danny and family, we are sorry to hear about JoLynn. she is one of our favorite friends. Your whole family has meant so much to us through the years. JoLynn was such a delightful person, very calm and loving. I remember that she was an awesome Relief Society President. She was so sweet to everyone. She always gave such good talks and advice. Your whole family really strengthened the branch and then the ward. You will never be forgotten. Love and prayers to you all! Love you! So sorry for your loss. She will be greatly missed by all who knew her. She was an awesome person loved by all who knew her. Our condolences to you and your family during this time. Sending prayers of love, peace and comfort to all. Danny, so very very sorry for your loss, nothing but wonderful memories of JoLynn and her infectious smile. Prayers to you and your family. My condolences and love to you Danny and your family. I remember when she moved to Mesa. What a beautiful talented young lady! May you feel all the love and prayers that many are sending your way. Coach White, the family and I are so sorry to hear about the great loss of Jo Lynn. You, her and the entire family have been so important in my life and the life of my kids and I am forever grateful. She has her wings now and is at peace. Love Hunkie, Tiffany and family. Coach White. My thoughts and prayers go out to you, your family and loved ones. I had the opportunity in 1972 to work with Jo Lynn while working for Valley National Bank at the old Mesa Westside branch. What a great person she was – will be missed but never forgotten! We are so sorry to hear this news. Such great memories of Mesa 6th Ward and getting to know Jolyn. She was perfect for Danny and we are so sorry for your family’s loss. May God be with you til we meet again. Danny, So sorry to learn of Jo Lynn’s passing. Our condolences to you and your family. We didn’t hear of her passing until after her funeral. I am very sorry to hear of the loss of JoLynn White . She was a young women’s leader when I was a young girl and such a great example. I appreciated her gentle way and strength of conviction. May God bless your family at this time of loss. Danny and family, We were so saddened to hear about Jo Lynn. When Glen and I were first married, and moved to Dallas, Jo Lynn was the first person to welcome me. She made me feel so comfortable in a new environment. She called me and checked on me gave me encouragement. I remember Jo Lynn and Danny invited us for Thanksgiving Dinner our first season away from our families and made us feel right at home. She was a wonderful example for me to look up to as a young wife and mother. Glen and I will always remember her kindness. She was as beautiful on the inside as she was on the outside. Danny, My thoughts and prayers are with you during this difficult time. God Bless you and your family. Just now heard the sad news from mutual friends of your wife Jolynn’s passing. My deepest sympathy to your and your family at this most sad time for all of you. God bless………. We are very saddened to learn of the passing of sister White. We both have very found memories of her and the entire White family. She was one of the finest women I’ve ever met. We will see you again. Our best wishes to the entire White family. So Sorry to hear you lost her. If you want to borrow the cabin in Strawberry for a week or so to re-fit, please contact us. I will tell Keller. To Mrs. White’s family, I’m very sorry for your loss. It’s my hope that you can draw comfort and strength from Jehovah God’s promises in the Bible at Revelation 21: 3, 4 and John 5: 28, 29 that there will soon be a time when there will be no more death, and we will see our dead loved ones again.